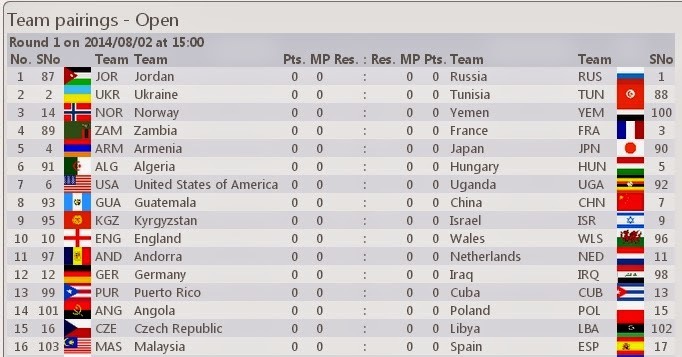 Round 4 of the 2014 Chess Olympiad is in progress. The round is getting to its first hour mark. So, which teams that the Malaysian teams are facing right now? Scoring 0.5 point when playing against 79th ranked South African team in the third round, in the fourth round, the Malaysian Men's team is paired against 93rd ranked Guatemala. Whereas the Malaysian Women's team is paired against the highest rank ASEAN teams which is Vietnam. It is an uphill battle to defeat the Vietnamese ladies. But who knows, with the high spirit after defeating higher seeded Chile with 3 - 1 score, Malaysian women chess team can make an upset. 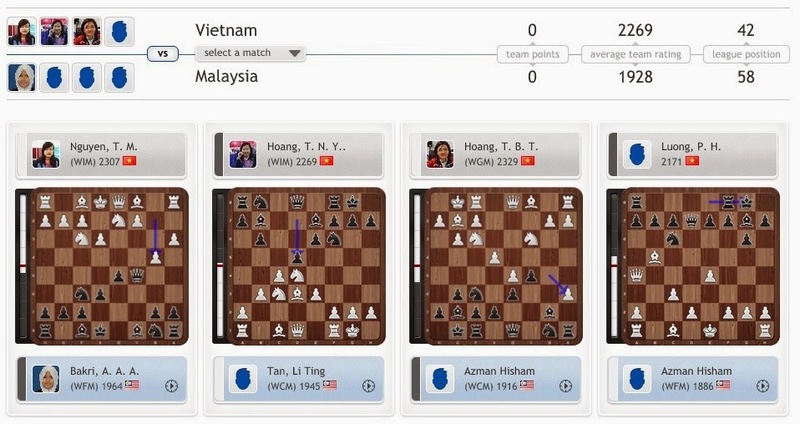 GiLoCatur is very impressed with the third round results for both Women's Indonesian and Philippines teams. Indonesia led by WGM Irene Kharisma Sukandar defeated the 6th seed Romania by 2.5 - 1.5 score. Both Medina and Chelsie, Indonesian 2nd and 3rd board respectively, upset their higher-rated opponents. GiLoCatur believes the 10th seed Armenia which is the Indonesian ladies are playing against at this moment will not under estimate the strength of the Indonesian women team. Whereas, the Filipino ladies managed to draw with their 8th rank Poland opponent. At this moment, they try to make an upset against 11th rank Spain. For information, the Philippines is ranked 43rd. Best of Luck to both Malaysian teams - Men and Women. 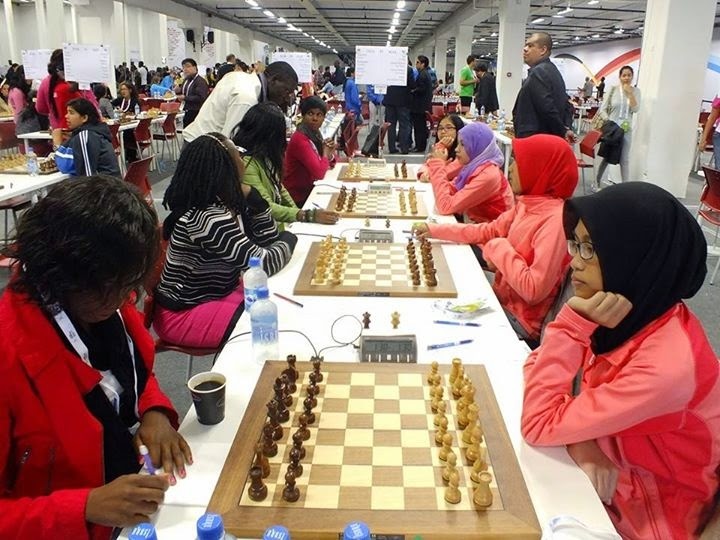 Syabas & tahniah to the Malaysian Women's team (below picture) in the second round of the Chess Olympiad currently being held in Tromso, Norway. They managed to win over UGANDA with 3 - 1 score. Now, focus on and prepare for the next round. 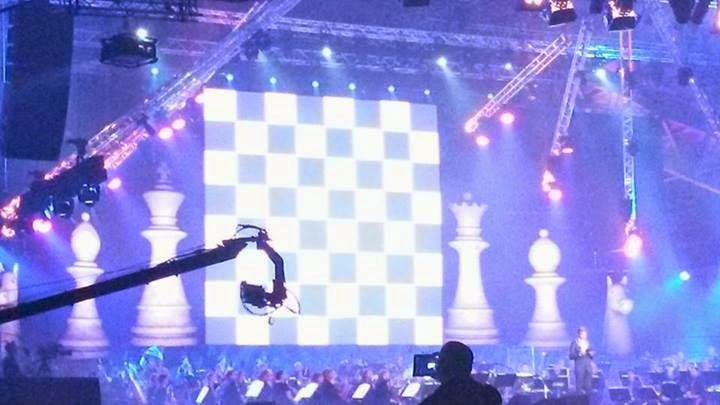 Round 2 of the 2014 Chess Olympiad will begin in about 15 minutes. If yesterday Round 1 kicked off at 3.00 PM Norwegian time, today Round 2 will begin at 2.00 PM or 8.00 PM Malaysian time. Both Malaysian teams just managed to score half-point against their respective higher seeded opponents. In the Men's team, only Aron Teh who plays on the second board managed to draw with his opponent. While, in the Women's team, only Nur Nabila managed to get the draw. She plays on the third board. So, who the Malaysian teams will face today? It is KENYA for the Men's team and UGANDA for the Women's team. GiLoCatur hopes that both the Malaysian teams able to win with big margin playing against lower-ranked opponents. The first board player for both teams will rest today. 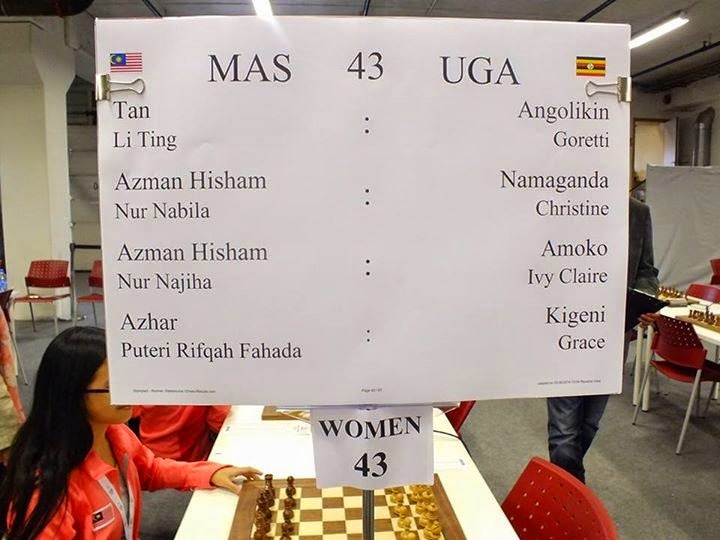 It means that Ahmad Fadzil Nayan and Puteri Rifqah Fahada Mohd Azhar will play the last / fourth board. Any big upset or interesting result? Not many as GiLoCatur sees it. One interesting result that GiLoCatur notices is the match between the first host team which includes the world champion, Magnus Carlson and Yemen. The 100th rank Yemen managed to score 1.5 to 2.5 based on the results at chess-results.com. Yemen's 2nd board player managed to draw with his 2600-opponent while its 4th board player who has 2254 Elo ratings upset his 2528-rated opponent. Let's follow and watch the second round. 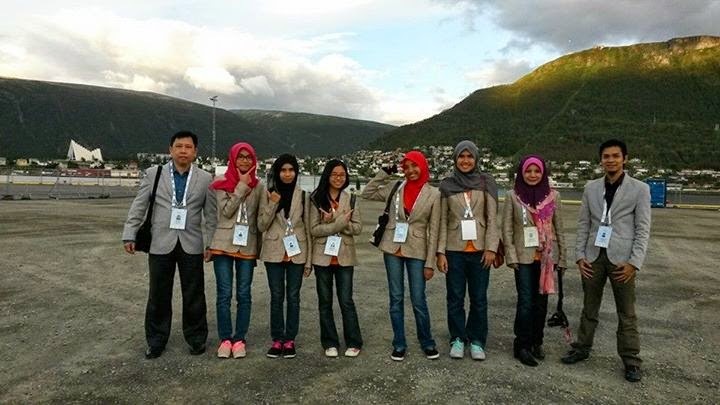 Below are the photos of the Malaysian teams - both Men and Women, that will take part in the 2014 Chess Olympiad held in Tromso, Norway. The first round will start in less than 7 hours. 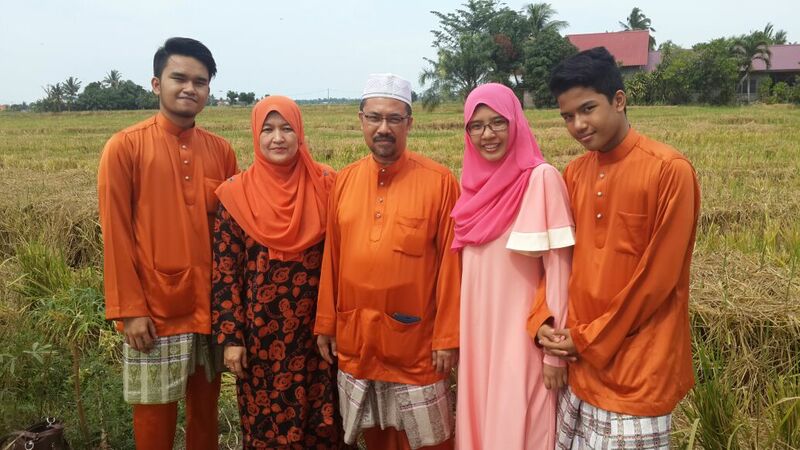 note : All the above photos are courtesy of Mrs Zazaluma Harun. 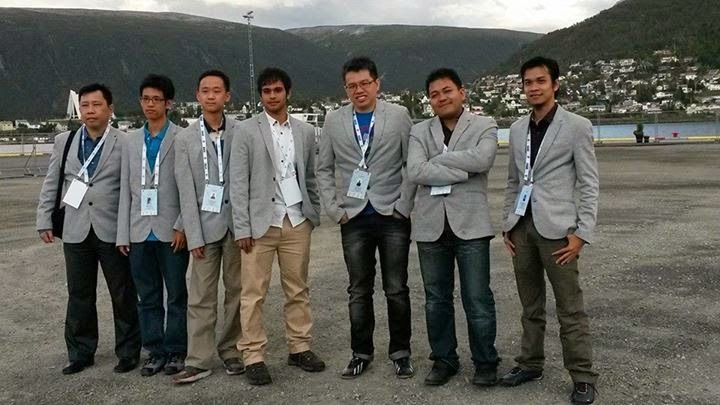 GiLoCatur is excited to follow the 2014 Chess Olympiad which will kick off today at 3.00 PM Tromso's time. Since Tromso is behind six hours of the Malaysian time, it means that the first round kick off will at 9.00 PM Malaysian time. That means, GiLoCatur can follow the event closely from home. The team pairings for the first round has been published in the chess-results.com. So, what the opponents for the Malaysian teams would be? Our Men's team is paired against the 16th seed which is SPAIN. Based on average ratings, it would be 2100 versus 2600. 500 ratings difference. Ofcourse, it would be an uphill battle. But anyway, as the popular saying, "LAWAN TETAP LAWAN". Whereas, our Women's team is paired against FRANCE, GiloCatur's favourite World Cup team. France which is the 9th seed in the women's section has the average ratings of 2389. BEST OF LUCK to both Malaysian teams. Give the best fight. Do not give respect too much to the opponents. IDEACHESS - Check It OUT! GiLoCatur received the following via email. 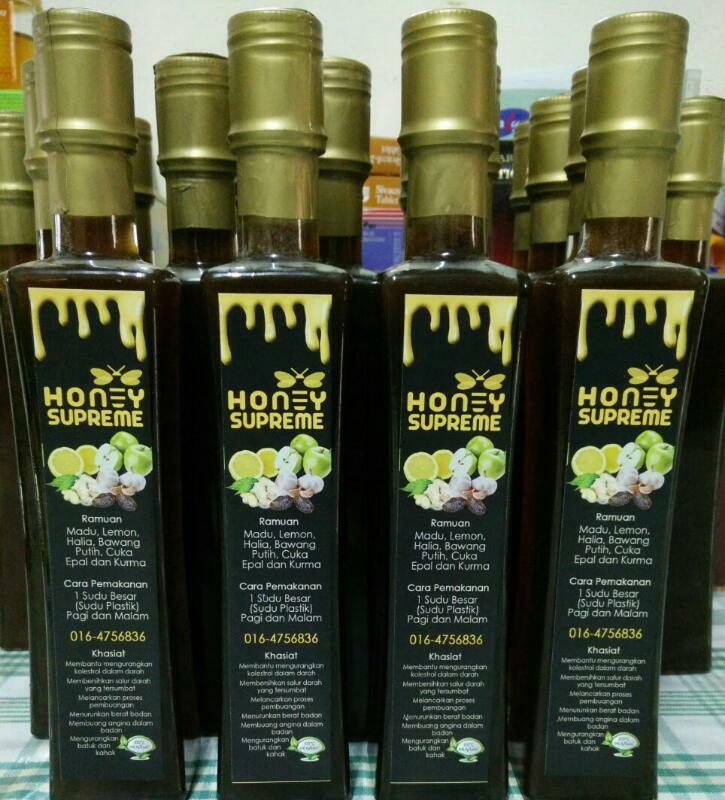 GiloCatur would like to share with all the visitors to this blog. 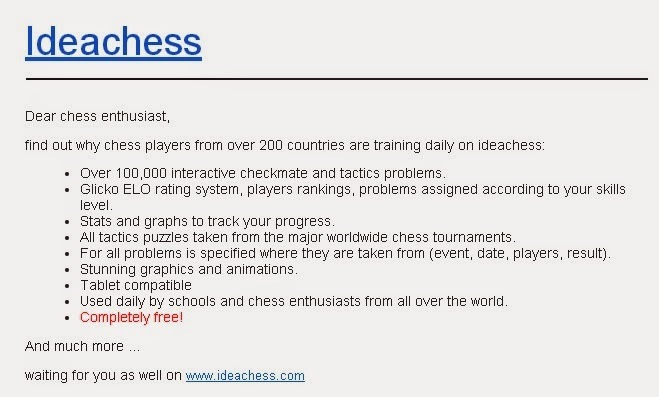 Hopefully, it will be beneficial and useful especially in improving in chess. CHECK IT OUT! IT IS FREE!